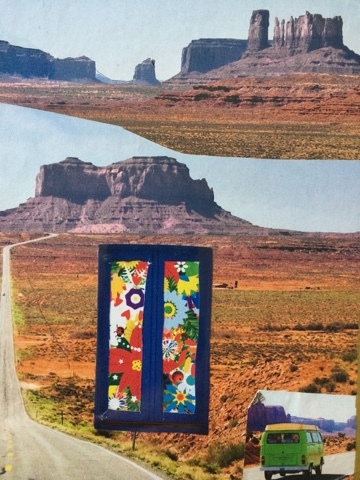 What about collage? A process in my coaching toolkit. Coaching means different things to different people. 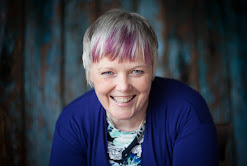 In essence coaching is about helping the client to know where they are, where they want to be, and identifying what they need to do to get from one to the other. Coaching may be required to identify all of these. 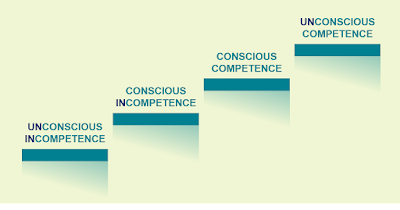 Coaching may also be about helping the client work through the action plan, to take the first steps and / or journey towards their goal. There's many different tools and techniques that can be used in a coaching session. 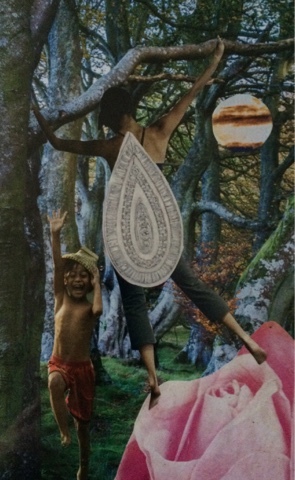 One of the more creative tools I use is collage cards (that's one word for them anyway). They use the premise that metaphors are worth more than pictures and words, and can therefore allow us to observe a situation from a very different perspective. To try it for yourself think of a situation you'd like more clarity on, and then consider the following cards. Don't be too quick to determine how the card relates to the current situation. You might notice the endless road and the heat of the desert, and noticing the alternate means of transport out of there. Or it may be it's just about taking the clear path ahead? 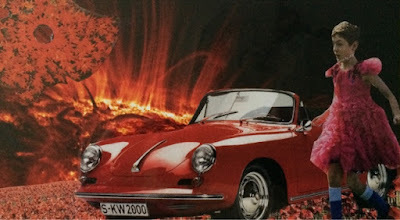 Or perhaps about returning to more psychedelic times? Or climbing vertical cliffs to the top? Or looking for the easier path, already forged by the wind, rather than the harder one? What about this next collage? It's not about describing every element of the card as much as noticing what you notice about the card. 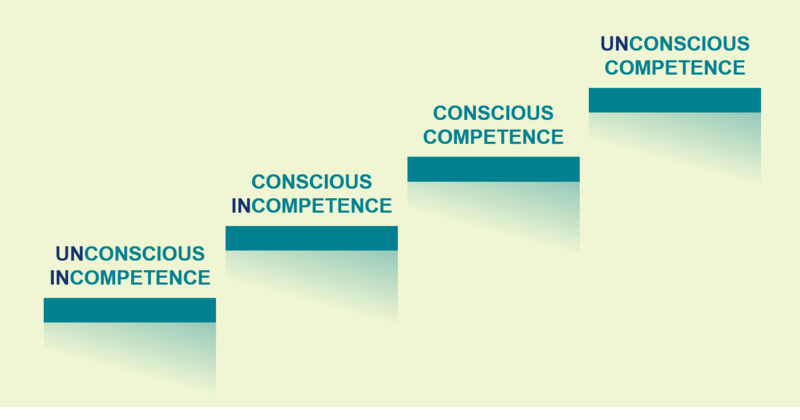 Your unconscious will help you see the pattern(s) that align with the current situation. So it might be about having the physical strength, or being more playful, or connecting more to nature. Or perhaps noticing the natural timing of things - e.g a full moon only takes place every 28 days (or perhaps it's a sun). Or about reminding you to take time to smell the roses? What about this even more obscure collage? The inner power perhaps? Or walking your own walk? 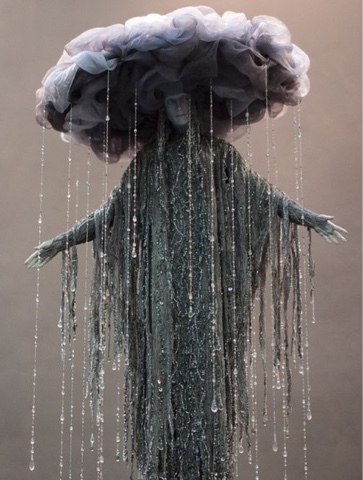 Or surviving in an alien environment - perhaps even being yourself in such an environment? As you now reflect on the original situation what are the summary themes you can take away from these cards? There's no right or wrong, and logic isn't necessary in that the cards may just have reminded you of something else entirely that relates instead. The mind acts in mysterious ways, and so long as you've got an insight, why worry about how you got there? For me the cads message is about not making life too difficult but instead taking the clear path ahead. It's also about connecting with the elements, nature and remembering there's a natural order to much of life, and not to fight against but move with it. You may have got something totally different, and that's the reason it's such a helpful process. We're able to connect to the cards in a way that makes sense to us personally in relation to the current situation, and yet perhaps still also provides a different perspective. Notes from a session at a Scottish Institute for Business Leaders meeting using these collage cards can be found here. I love this image - a great reminder that at any point we need to be mindful of our state of mind and body. Perhaps more importantly to ask ourselves is that state appropriate to the outcome we're wanting. If it's not appropriate it's about doing what you have to do to shift that state. If negative what do you need to do to be a little more positive, if lacking confidence how can you be more confident, if muddled how can you get more clarity. Too easy perhaps to think we're stuck with the state we're in rather than realising there's lots we can do. What state do you need to be in today, and how will you ensure you achieve it when it's needed? This prescription for positivity might help give you some ideas. 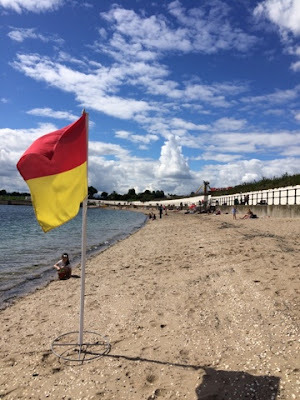 For 3 months of the year my local beach is a blue flag beach which means it has life guards. Life guards with safe and not so safe areas to communicate to beach visitors. 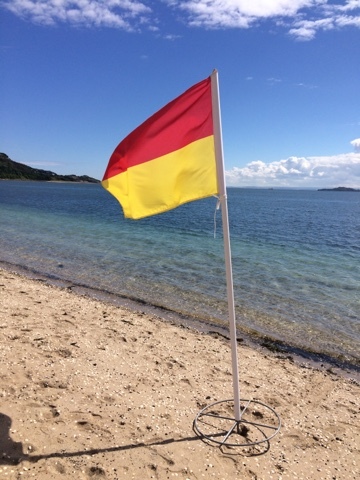 I was looking at the flag above and realised without a second flag the first flag is of no use at all. That is, without the second flag how do we know if the safe area is to the right or left of this flag. As it happens on this occasion it was to the right, although it might as easily have been left instead. Isn't that the case in many situations in life? We often only have part of the data, and need to ensure we look for supporting data to make sense of the first piece of data and not make assumptions. Please take care not to jump to any conclusions. 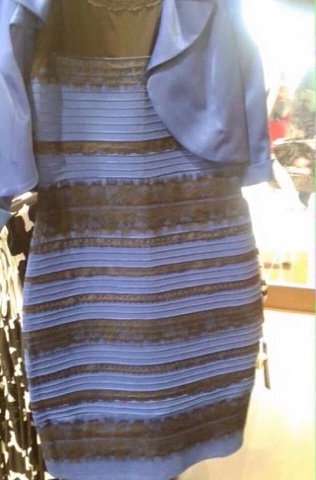 You may see it as Gold and white or as Blue and white. I appreciate if you see it as gold you will find it hard to understand how someone else could see it as blue, and visa versa. If you don't believe me just ask a few people, and it won't be long until they tell you a different colour to the one you're seeing. Just for clarity I see it as gold. It's a great reminder that this happening all the time - not just in colours but interpreting words we use too. I say "procurement" and I'm sure my meaning will be different to the stakeholders or suppliers hearing me saying it. In workshops I use an exercise using the word Chocolate which always provides a reminder to check understanding rather than making assumptions. Winning together, or are your suppliers the losers? 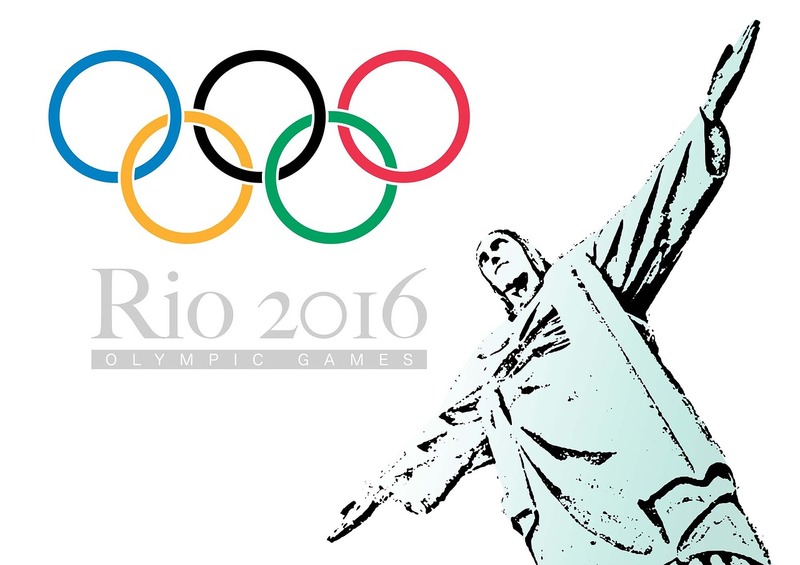 The Olympics, whilst being about doing your best, is also about winning. Whether that winning is by being faster, stronger, higher, longer, or by being more precise, creative or strategic. I suspect that won't cover every event, but you get my point. 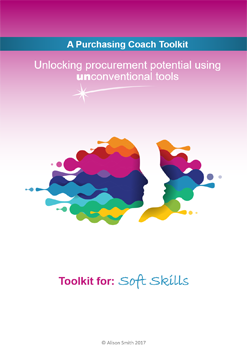 Winning is something that often crops up in procurement workshops - particularly when discussing negotiations. 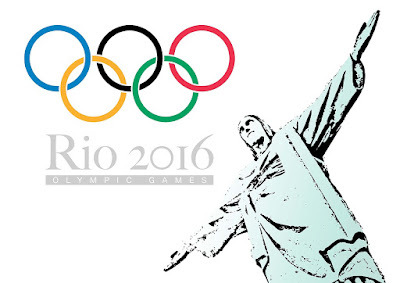 Winning is great if, just like the Olympics, you're opposition is on another team. That is, all participants have the same but mutually exclusive aim - doing their best, and if at all possible coming first, and beating the opposition. No holes barred, and no negative impact as a result of doing so. No relationships to maintain, nor alliances to covert. Winning isn't appropriate if it's against those in the same team - the aim then is about working together to achieve a common goal, against a common opposition. Each participant collaborating to achieve the agreed objective. Each bringing their own expertise to bare on achieving that outcome. Sharing the work load, and sharing the benefits. I'd contend that tactical negotiation is more like the former, and strategic negotiation is like the later. 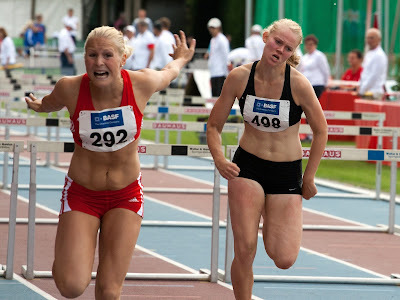 Problems arise when we treat suppliers we'd like a relationship with as if they're the opposition in the 100 meters hurdles or the heptathlon, rather than one of our fellow runners in the relay, or part of the same synchronised swimming team. 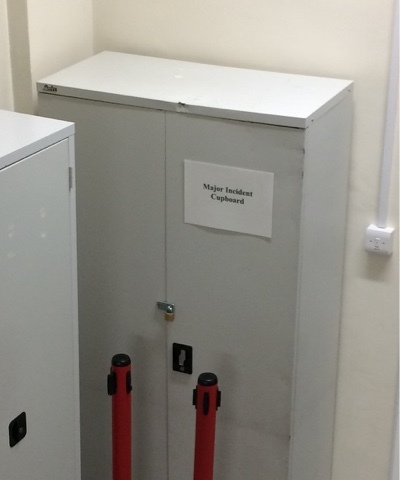 I saw this 'major incident cupboard' in a stair well in a hospital earlier in the year. I spent many moments wondering the meaning of the words, and about the contents of the cupboard. At some level it feels like it's really important, and yet it's location, the vague wording and difficult accessability suggest perhaps not. A useful reminder that if something is important we need to ensure we communicate in a manner aligned with the outcome we want. 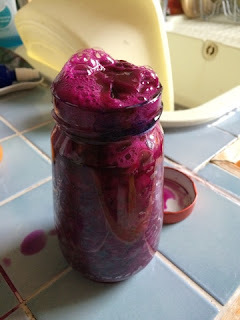 There I was cutting up red cabbage to put into the jar to make sauerkraut. I cut up half the cabbage into very small pieces. I stopped because there looked to be more than enough. Then, because to stop it going mouldy rather than fermenting it's important that there's minimal air left in the jar, I started cramming the cabbage into the jar. I was very surprised to find that it only filled half the jar. Meaning the rest of the cabbage was needed to fill the jar. How is this relevant in life? 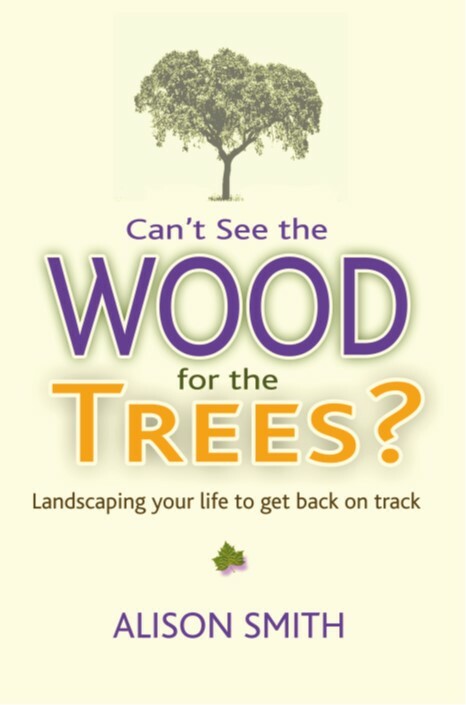 I suspect it can have a few different insights - for me today it's about remembering that we can cram more and more into life, even more than we expect. However, the added pressure, whilst making great sauerkraut, can lead to added stress and a potential explosion. 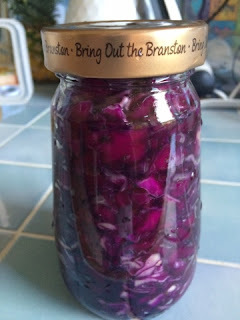 Final picture from previous red cabbage sauerkraut making a few months ago.